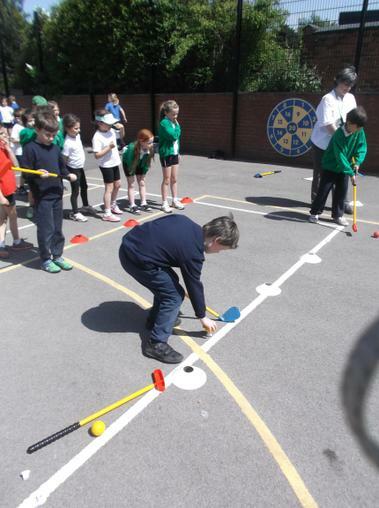 On Thursday 21st May our year 3 and 4 children took part in a tri-golf competition at Whitchurch Junior School. 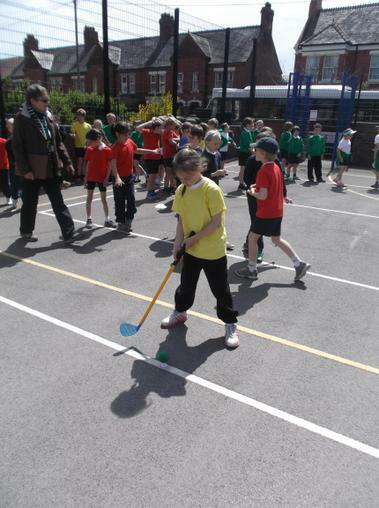 This was the first time most of our children had ever attempted this sport so lots of new skills and rules were learnt! 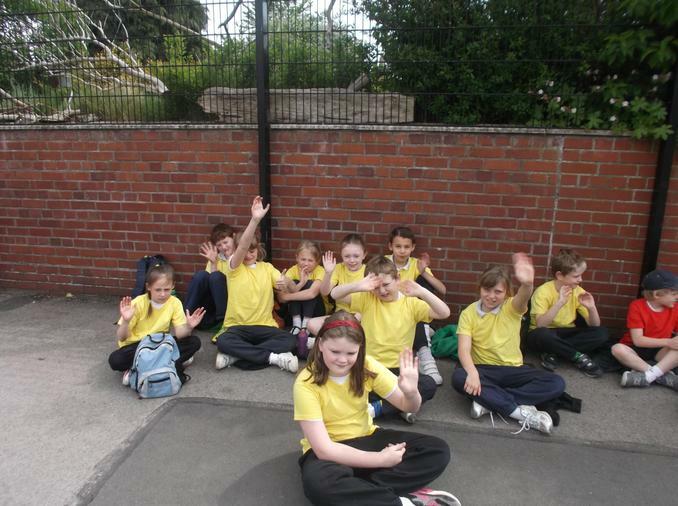 It was very effectively led by Whitchurch Junior Schools year 5 pupils. 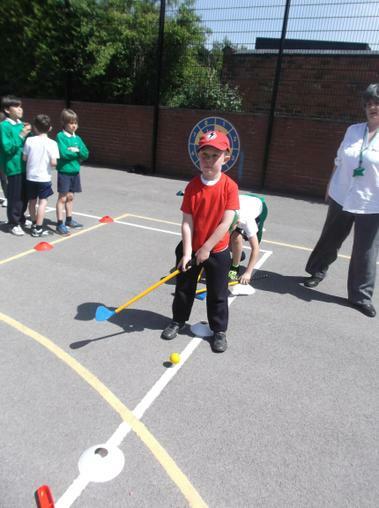 The children took part in a variety of activities which earned them points. We entered 2 teams of 10. 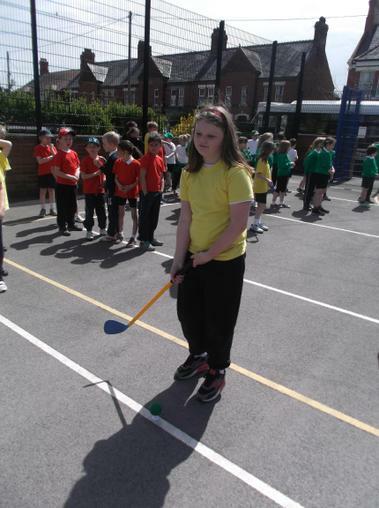 Welshampton 1 earned a grand total of 233 points which successfully won the competition! 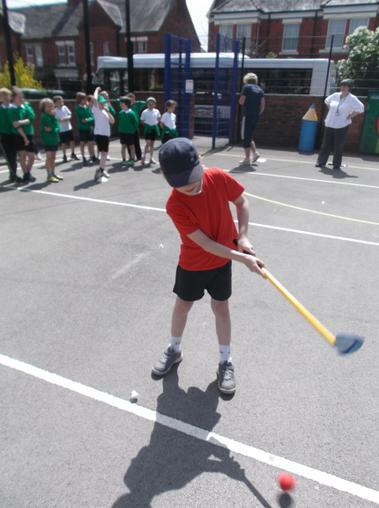 We are now through to the 2nd round of this very exciting event. 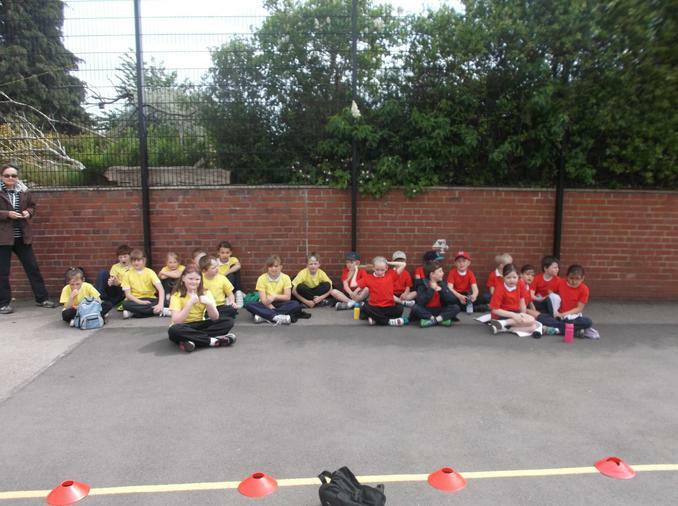 I would like to say a huge congratulations to both teams.